Baccalà (stockfish), in its two varieties of “baccalà mantecato” (creamed) and “baccalà alla Vicentina” (Vicenza-style) is, without doubt, one of the most well-known products of Venetian gastronomic tradition. The only thing that both dishes have in common, is, in fact, the raw material i.e. dried cod or 'stockfish' as it is also called. Then the two recipes take very different paths during their preparation with procedures that are both still quite complex. “Baccalà mantecato”, a typical Venetian recipe, foresees obtaining a compact, homogeneous and shiny cream with the odd piece of fish still intact. It is accompanied with good, freshly made or grilled polenta. “Baccalà alla Vicentina” unites other genuine territorial products with the stockfish, like milk, grated Parmesan cheese and extra virgin olive oil. Also in this case it is eaten with polenta, ideally made with the typical local maize: Marano Mais. 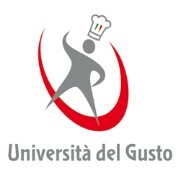 The Università del Gusto (a division of ESAC Spa) is a specialised Training Centre for the catering and food sector industry. The project originates from the desire to contribute, with highly specialised training courses, to professional growth in the catering sector. In other words, to that set of companies and operators which constitute the main reserve of Italy's great wine and food patrimony. Vicenza is known throughout the world as the City of Palladio and its wealth of Renaissance buildings designed by the famous architect. Among the most famous buildings are the Teatro Olimpico and the Basilica Palladiana, but the entire historical centre of this city, located just 70 kilometres from Venice, is worth a visit. In fact, Vicenza is on the Unesco list of World Heritage Sites. Vicenza has other "masterpieces" just waiting to be discovered: the many local agro-food products on which one of the richest culinary traditions in Italy is based. For this reason, the Università del Gusto has decided to organise special courses focussed on the territory's patrimony of wine and food specialities. Expo 2015, an exhibition specifically dedicated to the theme of "Feeding the Planet", could be the right opportunity to discover them. The symbol of local gastronomy is “Baccalà alla Vicentina”, an old, historical dish (dating back to the mid 1400s) made with stockfish directly from the Lofoten Islands in Norway. All the other traditional recipes, however, are based on products typically grown or produced in the area and which enhance local dishes with their extraordinary flavours and perfumes. And the programme that we are suggesting for Expo aims at getting to know them better. Accompanied by a qualified expert chef, you will have a unique experience in a professional kitchen fitted out just like the most modern of restaurants. You will prepare a series of high-level dishes, easy to repeat in your own home or, if you are in the business, at your restaurant. After having learned how to cook them, you will be accompanied in their tasting together with the territory's best wines. A chance to savour the local production in syntony with the great Expo Milan event. The cooking classes will take place at the Università del Gusto, the food training centre belonging to Confcommercio Vicenza, an association of business, tourism and service companies. Professionals and cooking enthusiasts alike will learn to prepare “Baccalà alla Vicentina” (12 May 2015) and recipes using “Marostica cherries (12 June 2015); White Asparagus Dop from Bassano (18 May 2015) and Asiago DOP cheese (14 October 2015).